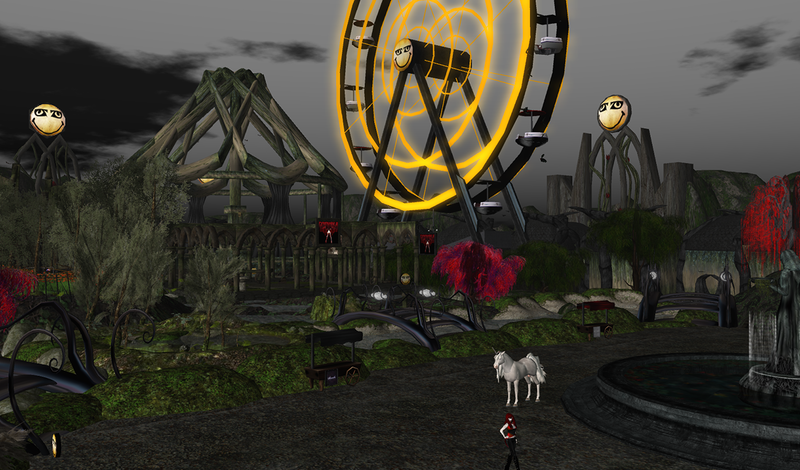 Okay so I’ve got a couple of shots of the World Goth Faire Cursed Sim location for you. I have been looking forward to this so much since last year. We had some amazing stores last year and this year there are even more. I won’t lie to you, I work at Gothika and I live on Cursed. This faire holds a very special place in my heart. The Faire is May 15th to 31st and proceeds will go to the Sophie Lancaster Foundation. I’ll make sure to share with you all kinds of things, including much much much clothes. First though some unadulterated images of the WGF sim that will be on Cursed. The build is from *~by Nacht and was puzzled together by Lokii Violet. Faire starts tomorrow and you can come play.